Upon entering you’ll notice the many updates in this home. New flooring runs throughout, and a brand new kitchen update was completed just this past spring. The formal dining room has french doors leading to the fenced private backyard. Down the hall you’ll find an updated full bath, two spare bedrooms, and a master bedroom with an updated full master bath, connected by a walk in closet. This home’s heating and cooling system is just 3 years old, and a new roof was installed just last year. 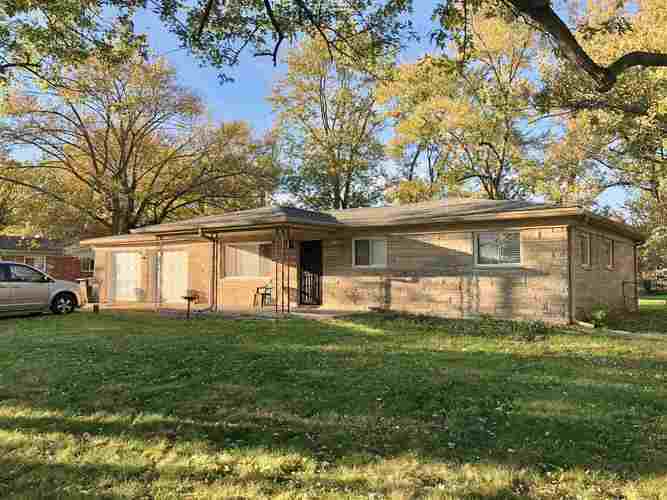 Other updates include all new plumbing within the home and to the septic, updated electrical, new garage doors and openers, new insulation, and custom blinds have been added. Eastern Hancock schools. ERA Home Warranty included. Directions:South on St Rd 3 to US 40, W on US 40, property 14 miles down on right.